Seeking a Project Manager for the management of multiple projects which include Labor-related management and support services to public agencies in transit, water and other institutional projects in the San Diego Area. Previous experience in Labor Compliance and/or PLA Administration is a MUST. Oversee all aspects of a project’s completion. Create an interface with client and contract personnel to develop and review program plans, schedules, assignments, costs, etc. Resolve project issues including staff allocation and scheduling, resolution of issues with contractors and unions, client complaints, and other tactical matters. Set deadlines, explain and assign responsibilities, and monitor the progress of projects. Conduct weekly team meetings to discuss project status and outstanding issues. Continuously mentor junior staff to facilitate learning, development, and career advancement. Train junior staff in handling day to day project tasks. Coordinate and deliver briefings/progress reports with senior leadership regarding the status of projects. Degree or Equivalent in experience. Organized. Possesses strong time and resource management skills. Excellent written and oral communication skills with the ability to maintain effective communication with clients and internal staff. Ability to analyze and bring flexible, critical thinking approach to managing projects. Decisive, creative, action-oriented and results-focused professional. Capable of multi-tasking and working under tight deadlines. Manage contract deliverables in order to lead projects to successful completion. Has a proven ability to deal with simultaneous initiatives and ensuring that programs and projects align with the priorities, resources, and strategies of the organization. Ability to meet financial objectives by forecasting requirements, preparing and monitoring budgets, scheduling expenditures and analyzing variances are capabilities of the individual in this position. Ability to produce quality reports for both internal and external purposes. 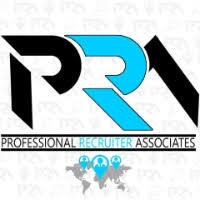 For immediate consideration, please forward a copy of your current resume to info@profrecruiters.com referencing job #1709 or a link to this job.